Article by Simon Mosey, Professor of Entrepreneurship and Innovation at Nottingham University Business School and Director of the Haydn Green Institute for Innovation and Entrepreneurship. The notion that more should be done with less is central to much of the debate that continues to swirl around the healthcare arena in general and the NHS in particular. The ever-increasing pressure to do things not just better but completely differently goes a long way to explaining why “innovation” has become such a buzzword. “Innovation” is customarily perceived as going hand-in-hand with “vision” – some sort of precious ability to see what others cannot. The association is in many ways a perfectly valid one, but in making it we risk falling into a common trap. When we talk of “vision” or “visionaries” we seem to be referring to a kind of “them” – a breed apart, something notably distinct from “us” – and this represents a damaging misconception. Paul Lutus, who designed equipment for NASA missions before writing some of the most important programs in the history of personal computing, has argued that there are “idea producers” and “idea consumers”. A vital lesson for any organisation is that the more it cultivates “idea producers” – and, by extension, the less it unwittingly encourages “idea consumers” – the likelier it is to benefit from innovation. This is because in reality every member of staff, from CEO to new recruit, is a would-be “idea producer”. After all, common sense alone has given us many of the greatest improvements in life – advances so significant yet ostensibly so straightforward that we can scarcely grasp why no-one thought of them before – and we all have at least some measure of that. The problem is that the structures necessary to channel this vast but untapped potential do not exist in most organisations. The average employee may well hit upon a “game-changer”, but he or she would probably expect those higher up the chain of command to harbour not the slightest interest in it. One does not have to ponder this situation for long to see how utterly absurd it is. Imagine, for instance, a company that has a staff of a thousand but permits just 50 to contribute to its innovation activity. This means 950 people who are eminently capable of having ideas contribute nothing. Ninety-five per cent of the workforce is immediately condemned to the “idea consumer” bracket. This is not only hopelessly self-defeating: it is spectacularly silly. Naturally, not all ideas are good. Yet even the bad ones can sometimes make a valuable contribution, if only by helping to shape a superior alternative. The genuine waste does not lie in devoting time and energy to novel concepts that might eventually lead to a dead end: it lies in deterring novel concepts in the first place. Healthcare offers some remarkable examples of how simple ideas can make an extraordinary difference. The surgical checklist provides a classic illustration. Why do we need checklists? Because we are stupid? Not at all. We need them because we are sufficiently sensible to know how easy it is to overlook things. Money, keys, phone. Mirror, signal, manoeuvre. Luggage, tickets, passport. We use mental checklists all the time in our day-to-day lives. Bearing this in mind, it now seems incredible that the surgical checklist was implemented barely 30 years ago. According to pilot studies worldwide, this one-page document has reduced related mortality rates and complications by 47% and 36% respectively. Correct patient? Check. Correct limb? Check. Felt-tip pen? Check. X marks the spot? Check. 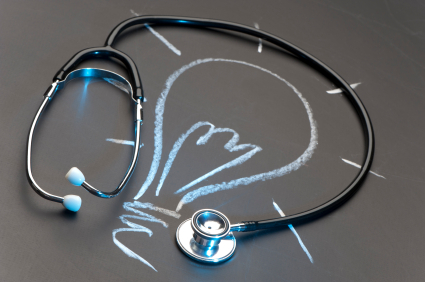 Simplicity itself – and, in the opinion of the president of the US Institute for Healthcare Improvement, arguably the single most effective clinical care innovation in recent history. Now consider the story of Professor Martin Elliott and Dr Alan Goldman, two heart surgeons at Great Ormond Street Hospital. Having endured a demanding day in the operating theatre, they chose to unwind by watching a Grand Prix on TV and were soon struck by the uncanny similarities between F1 pit-stops and hospital “handovers” – the procedure by which patients are transferred from one team to another when they move from surgery to intensive care. Intrigued, the pair approached McLaren and Ferrari, whose crews, they noted, had the pit-stop down to a fine art. They discussed leadership, rhythm, task allocation and all the other fundamentals that for some reason had never been embedded in the handover protocol. They recognised the value of someone taking charge, as the “lollipop man” does during a pit-stop. The eventual result was the wholesale restructuring of handovers and a halving of related errors. Such is the power of appreciating that solutions lurk everywhere. Some might call it “vision”, but the chances are that every one of us – even if unwittingly – has solved a problem by redefining it in broader terms, finding an analogous scenario where the issue has been overcome and tailoring the solution to suit our circumstances. At Nottingham University Business School we have carried out a number of studies that show we all have this ability and, moreover, that it is something that can be refined through education and training. Much of our research in this area has been conducted in collaboration with healthcare professionals, not least because innovation is known to flourish within uncertain environments – and the NHS definitely ticks that box. In one experiment a sample group of NHS employees participated in a two-day course that featured a mix of lessons, discussions and practical problem-solving exercises. The participants included nurses, team coordinators, HR staff and psychologists. Crucially, none of them was an experienced innovator. First they were first asked to grade their own innovative abilities on a five-point scale. Then they were challenged to list as many ideas as possible to improve effectiveness and working practices. The exercise was repeated at the end of the course, with a panel of innovation experts assessing their progress or otherwise. The result? More than three quarters of those who took part produced better-quality ideas at the second time of asking – and more than half were able to come up with a greater number of them. These findings support the belief that the ability to innovate is not some manner of inexplicable gift bestowed on a lucky few. In other words, there really is no “them”. Appropriate guidance, expert mentors and the freedom to “bounce ideas around” can help to unlock, develop and refine the latent potential in anyone. We may therefore infer – albeit with all due respect to Professor Elliott and Dr Goldman – that any member of Great Ormond’s Street team might have spotted the aforementioned pit-stop analogy. The question is whether they would have been able to secure an audience with McLaren and Ferrari if they were, say, a porter or a nurse. And this is a key point: good ideas can all too easily go to waste if an alleged commitment to innovation is anything less than all-encompassing. The ideal innovative organisation promotes creative problem-solving at all levels and grants a hearing to each and every new way of thinking, regardless of its originator. That you might have only recently embarked on your career is utterly irrelevant and should not be held against you. The fact is that rhetoric alone is not enough. There is no merit whatsoever in talking a good game while tacitly stifling creativity anywhere beyond the boardroom or the R&D department. The quest to do more with less demands a top-to-bottom acknowledgment that everyone is capable of contributing to the innovation process – and, just as imperatively, that everyone deserves a voice. From an article originally published in Clinical Career magazine.